Was £69.90 - Now £49.90! 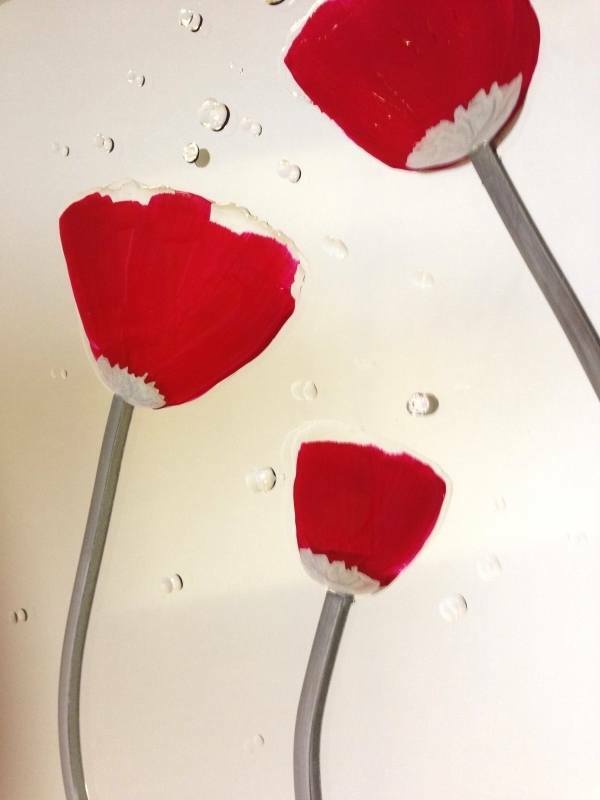 This is a beautiful and unusual piece of hand crafted artwork of graceful red poppies on a mirror backing, embellished with a textured liquid glass effect and highlighted with real Swarovski crystals as can be seen in the detail image below. This is an exclusive design hand created by a our own artists so no two pieces will ever be identical, perfect if you want to order a pair or more, as they will all be slightly different. Available in either Distressed Silver Frame or Flat Silver Frame as Shown below. Please select option when ordering.